Welcome to Part 12 of the Stitch Sampler Scrapghan CAL!! 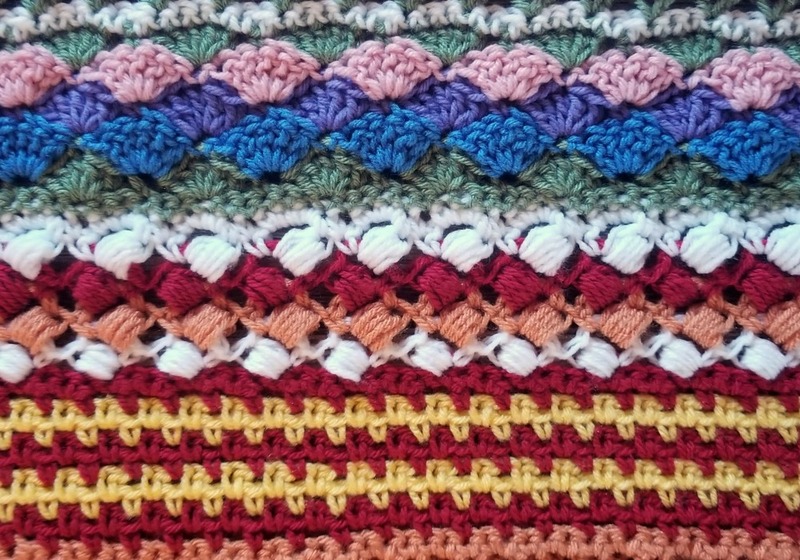 This week is a fun stitch called the Crossed Puff Stitch. It’s not too late to join the Stitch Sampler Scrapghan CAL! 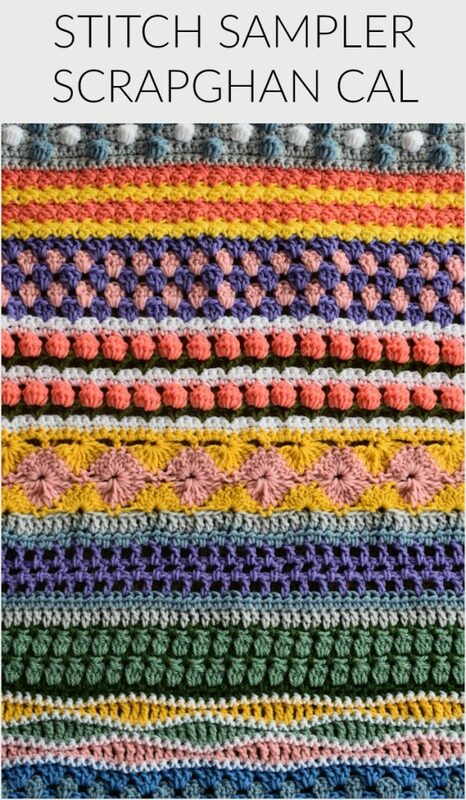 You can find all the Scrapghan Crochet Along info HERE. 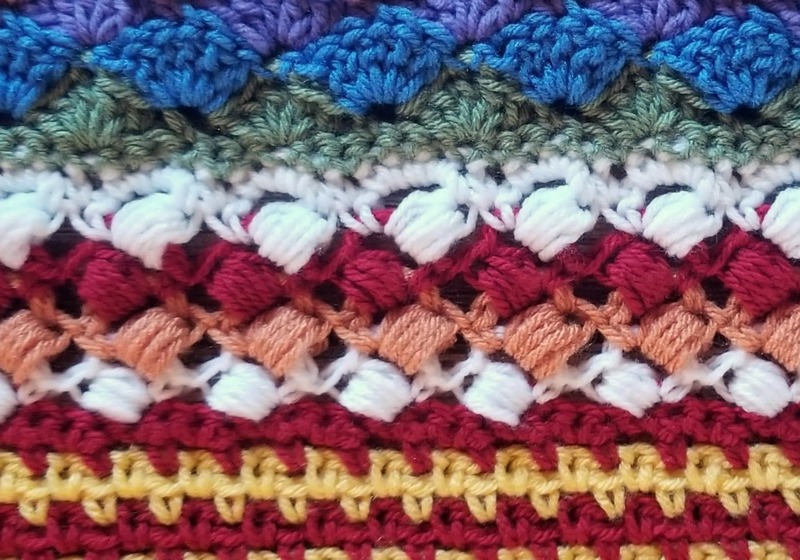 Join my FACEBOOK GROUP to share your progress with your fellow crocheters! Thank you for following along with this CAL! I’ll see you next Friday with Part 13! Hi, could I also start on this blanket with cotton 8? I still have so many of these ..